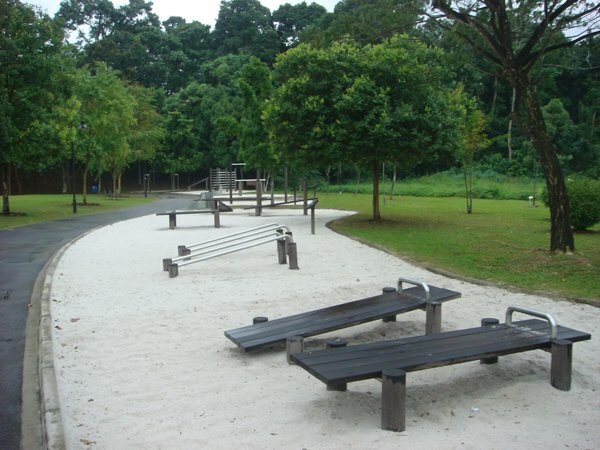 The West side of Singapore has a few running spots like the Bukit Timah Nature Reserve or Bukit Batok Nature Park. 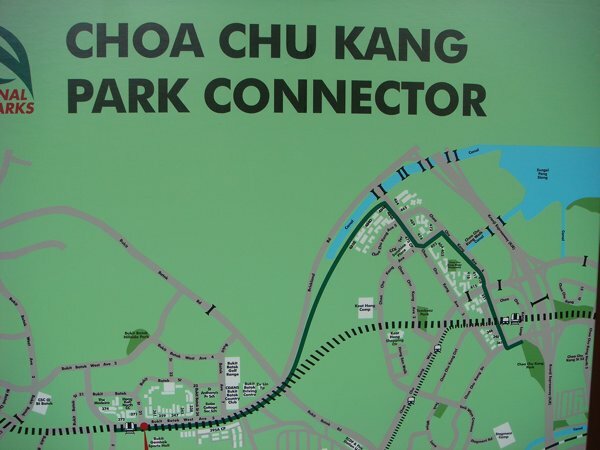 A bit more of "urban jungle" is the Choa Chu Kang Park Connector. Initially planned so that people can easily hop from one park to another, I doubt it is used for this in practice. 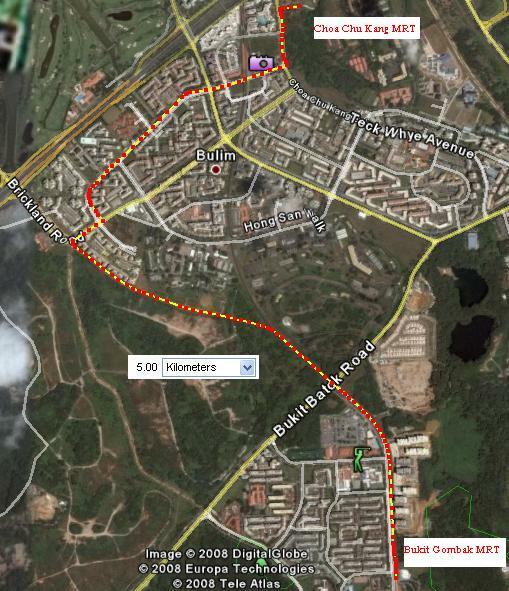 The roughly 5km distance might only be feasible challenge singaporean cyclists. 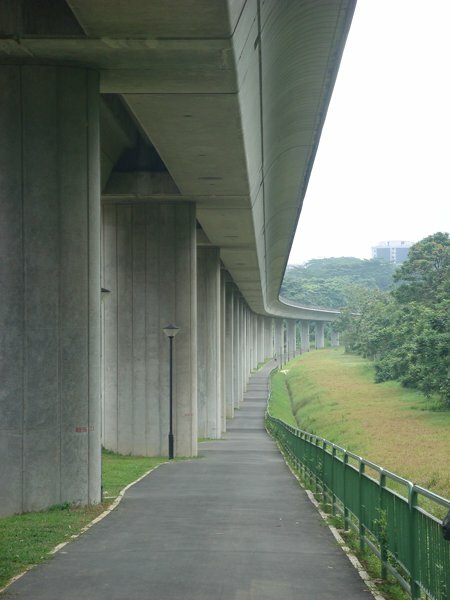 The advantage of this track is it’s connection to the public transport (starting and ending at an MRT station), and the good track quality, as it is also intended to be used by cyclists. This is in very contrast to the jungle paths which are daily washed out by the rain. Also helpful are the distance measures on the track documenting your (eventual) progress. By public transport: The best is obviously to come by MRT : start either at Bukit Gombak or Choa Chu Kang, a finish at the other station respectively. Or do the two-way. 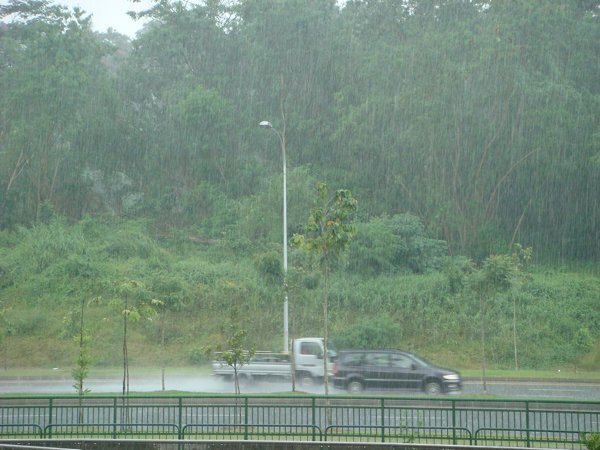 By car: Just next to the Bukit Gombak MRT is a stadium with plenty of free parking lots. The track: Just start at one of the two MRT stations, best from Bukit Gombak. The total length of the track is around 5km. Follow the asphalted path along Bukit Batok West Avenue 5 heading north, just under the MRT line. 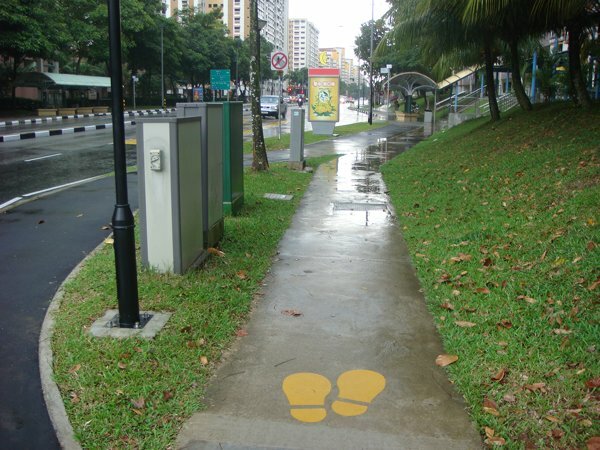 After the path crossing the MRT line and leaving it to it’s left, follow it until Choa Chu Kang Avenue 2. This portion is quite "empty" of civilisation, you have the jungle to your right and to your left, as the road extension has been built very recently. Here you can imagine how you look like when you have no shelter and you run into the 10 minutes’ daily tropical rain. 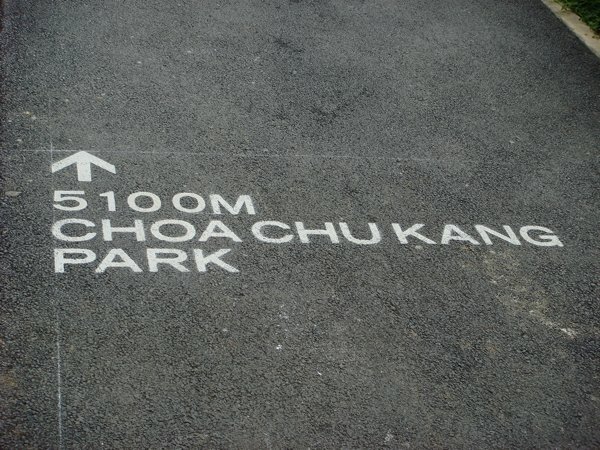 Follow Choa Chu Kang Avenue 2. Unfortunately there are some crossroads and the way can be crowded, so better opt for an early morning run. Turn left on Choa Chu Kang Way and right next for Choa Chu Kang Ave number 4 (they like confusing you huh?). 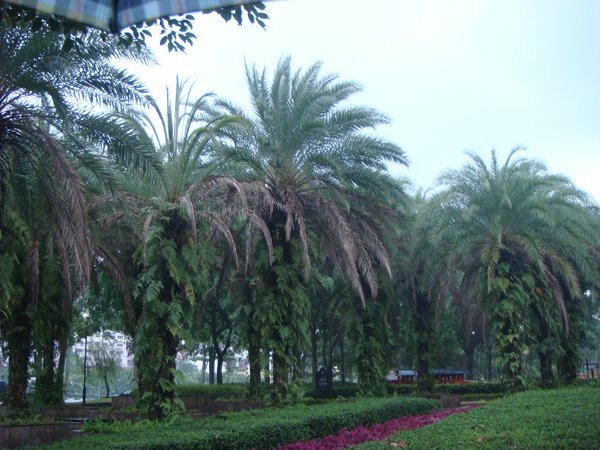 Pass by the MRT station and you will reach the park. Here you will find some facilities to do some additional fitness workouts. And if you have not enough, just run the 5K back again. Water point: In Choa Chu Kang park itself. On the way I didn’t see any. Good to know: As the Bukit Batok Stadium is for public use, they have lockers and maybe even showers, but I didn’t verify this. You can also finish your run in the stadium and do some additional exercising there. Google Maps: East Coast Park on Google Maps. Hi Wolf, Is this connector smooth enough to rollerblade? How many overhead bridges and road junctions to cross? Thanks for reply.